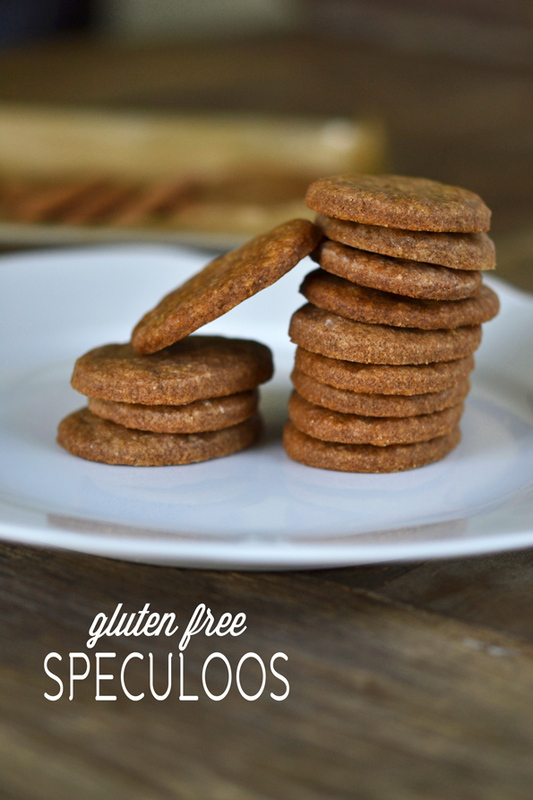 Gluten Free Speculoos Cookies | Great gluten free recipes for every occasion. Speculoos. Speculaas. 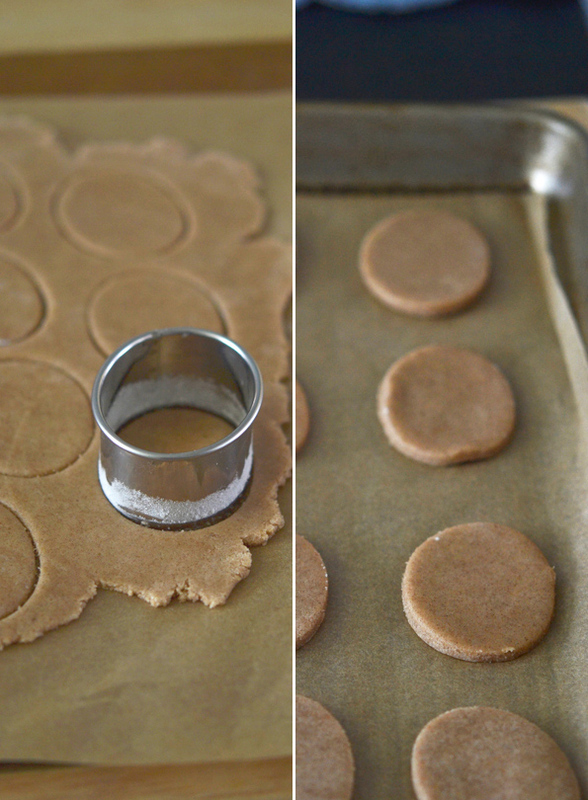 Biscoff cookies. Since they provide no satisfaction for We Gluten Free, we’ve got our work cut out for us. 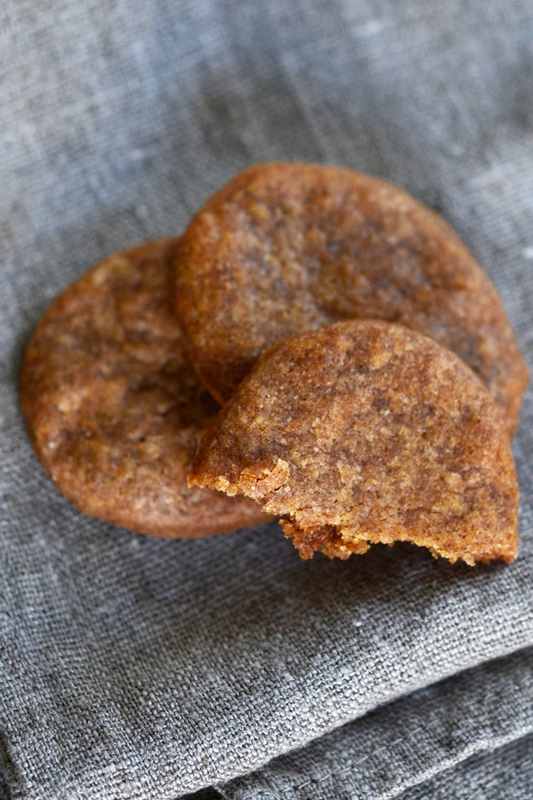 Speculoos are very much like gluten free gingersnap cookies, but without the ginger. I know that a lot of recipes in this style put in more spices (like nutmeg, ginger, cloves and even black pepper), near as I can tell, the only spice in the actual cookies is cinnamon. Now if you’re really keen on more spices, try adding 1/4 teaspoon ground ginger, 1/2 teaspoon ground cloves and/or 1/4 teaspoon freshly grated nutmeg. Oh, and since there are no eggs & no butter these are vegan gluten free cookies. BOOM! If we’re going to make the spread (no bake), then we need to make the cookies first (bake). But good news! They come together very quickly and bake quickly, too. But be mindful as you bake them, that they tend to go from perfectly baked to burnt in a jiffy, since they’re high in sugar. Since there are no eggs, they’re snappy little numbers. In a large bowl, place the flour blend, xanthan gum, cinnamon, salt, baking soda and granulated sugar, and whisk to combine well. Add the brown sugar, and whisk once more to combine, working to break up any lumps in the brown sugar. Add the shortening, honey and water, and mix to combine then knead with your hands to bring the dough together. Divide the dough into two equal portions and roll each between two sheets of unbleached parchment paper into a rectangle between 1/8 inch and 1/4 inch thick. Place the rolled out dough on a flat surface and place in the freezer until firm but not frozen (about 10 minutes). 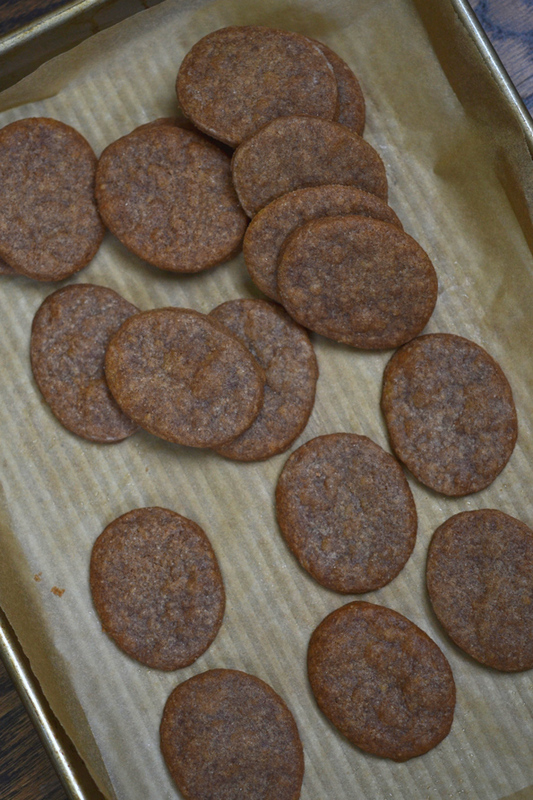 Cut out 2 1/2 inch ovals out of the dough and place about 1 inch apart on the prepared baking sheets. Bake the dough until golden brown and mostly firm to the touch (7 to 10 minutes, depending upon size and thickness). Because of the high sugar content, the cookies will burn quickly once fully baked, so watch carefully beginning at 7 minutes. To get a feel for how quickly they will bake, make your first batch in the oven a small one and adjust the baking time appropriately. Allow the cookies to cool for 5 minutes on the baking sheet before transferring to a wire rack to cool completely. They will crisp as they cool. P.S. If you haven’t yet, please buy your copy of Gluten Free on a Shoestring Quick & Easy! Thank you from the bottom of my heart. Made them tonight. Easy. Yummy. Happy GF teen. Life is shoestring good. Excellent, Kristi! Give that GF teen a hug for me. Nik, really? You are such a rock star in our house. You already know that. My daughter adores you and well, um, me too. You have made going GF bearable, scratch that, yummy. Anyway, those biscoffs are her favorite. We ate them in Europe until we were sick to our stomachs but not sick of them. Spread you say? For the love…. How would you use these to convert into the spread? Just curious! Thanks for the awesome recipe! I miss these cookies dearly sine going GF! Oh, I’ll post a separate recipe, using these to make the spread, Aliza. Don’t worry! Thanks, Nicole! I love your blog! It has made my transition to GF life so much easier!! With the honey, they would not technically be vegan (too-many vegan friends to not point that out…haha) BUT I am so excited for an egg-free, diary-free GF recipe leading to Speculoos spread! I swear, the spread became the most amazing product in the world during the week I stopped eating gluten: it cropped up everywhere, looking so tantalizing. Glad I have a chance to finally indulge! Does this taste like those biscoff cookies you get on certain airlines? These intrigue me – where does the name come from? have to make them. They do, indeed, Jennifer! And yes, 2 cups of flour in my recipes always = 280 grams (140 g/cup). I forgot to add the weight measurement (which is always my guide anyhow), so I went back in and fixed that. Nice catch!